Log into the correct Course Management System to find your class. If you’re new to Rutgers, you’ll need to activate your NetID to access your online courses. If you have any trouble, contact the Camden Help Desk at (856) 225-6274 or help@camden.rutgers.edu. Find your course in the Schedule of Classes (read how to do so here). 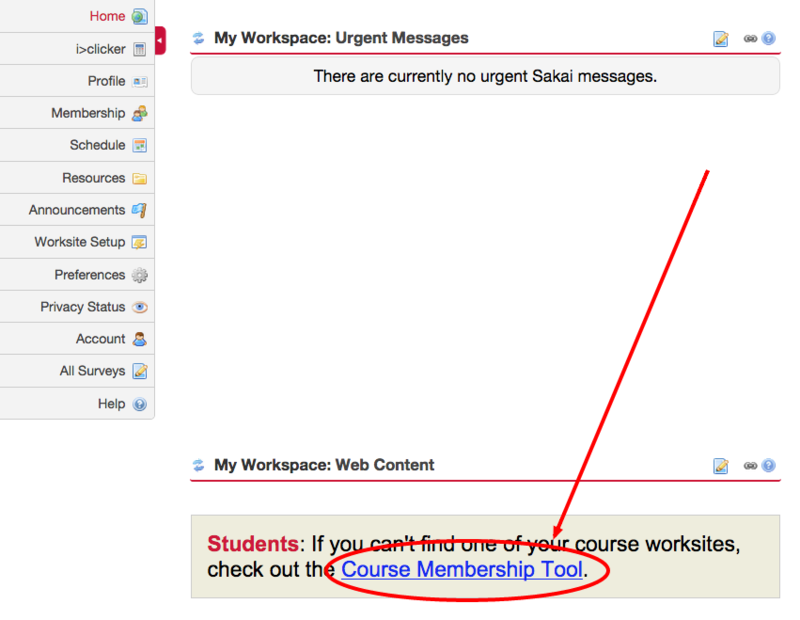 In the section comments, you should see information regarding if the course is being taught in Sakai or Canvas. 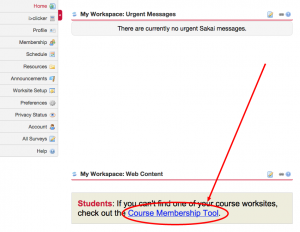 Log into Sakai using your NetID and password. You should look for your course title in the top red bar after you log in, or click on the “More Sites” tab and find the current semester. If you still cannot find your course, contact your instructor (listed in the Schedule of Classes). Log into Canvas using your NetID and password. Click Course in the red bar at the left. If you do not see your course on the first day of classes, contact your instructor (listed in the Schedule of Classes). Log in the first day of classes (or before!) and read the syllabus. Online courses start on the first day of classes; this means your assignments begin right away. It’s also important that you review the syllabus carefully, as your professor won’t be there to explain it for you as he/she might in a face-to-face course. The syllabus presents expectations of the course and should provide a detailed course schedule. You should also make sure to purchase the textbook, if required, before classes start. Check your technical requirements. You should have regular access to a computer (a tablet or phone cannot replace a computer for the entire course) with dependable, broadband internet access. Make sure your browsers are up-to-date. You should also have access to word processing software (Microsoft Office or OpenOffice, for example). Again, make sure you’ve read through the syllabus to ensure that your professor does not require extra technical requirements, such as access to a webcam, microphone, or other special software. Make your course schedule easily accessible to you. This might mean that you print the schedule and use it as a checklist or input the due dates into your phone’s calendar app. Don’t rely on your professor to remind you of every due date and upcoming assignment in the course–it’s your responsibility to keep track of them and turn the work in on time. Log into the course and check email frequently. You should log into your course at least three times a week to read discussion posts, look at assignment feedback, and review expectations and upcoming due dates for the week to make sure you are staying on track. Check your Rutgers email at least daily to see if your professor has made any announcements regarding a change in assignment instructions or due dates, or if he/she is offering any general reminders or advice. Be proactive. Review the due dates (again!) and assignments for each week at the beginning of the week. Doing so will give you adequate time to contact your professor with questions about assignment instructions and receive a response before you submit your assignment. If you think you will have trouble completing an assignment due to personal issues or technical problems, contact your professor right away, before the assignment is due. Don’t wait until the last minute to turn in assignments in case you experience unexpected technical problems. Set aside a specific time each week to work on your online course. It’s easy to put off work for a course that has a somewhat flexible schedule. Set aside a time or multiple blocks of time each week (that fits your schedule and aligns with due dates in the course) to review course readings and work on assignments. For example, perhaps you could plan to read course materials between 10am and noon on Mondays and work on assignments for the course between 5 and 8pm on Thursdays. Want to improve your time management? Check out the video of this workshop from the Rutgers–Camden Learning Center. Communicate! Don’t be afraid to ask questions. Isolating yourself is easy to do in an online course. Reach out to your classmates and your professor throughout the course. Email your professor if you have questions regarding an assignment or course content–they’re there to help! There also may be a “General Course Questions” forum where you can post questions and talk with your classmates about assignments. Page last updated by Online Learning at 3:19 p.m. Sept. 17, 2018. This page was printed from online.camden.rutgers.edu/succeed-online/ on Wednesday, April 24, 2019.